Today I head to the UK for another weekend dash, so I somehow had to squeeze in a new experience between work and airports. 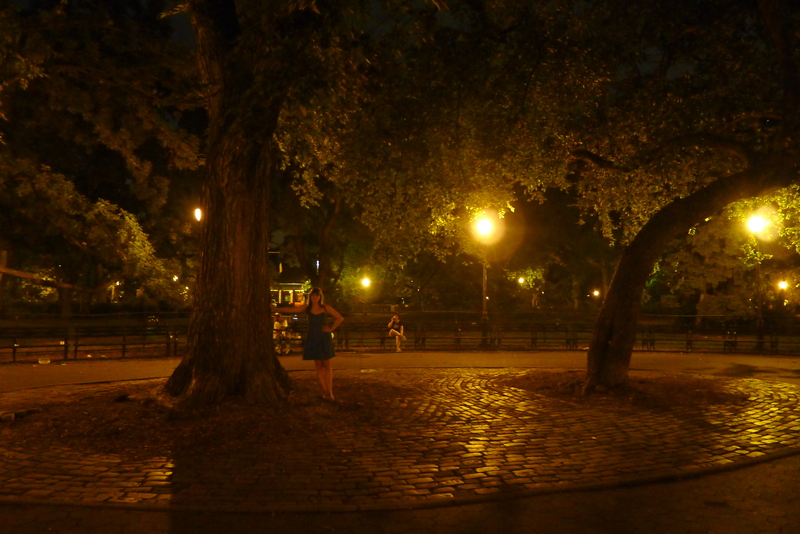 Last night, I waited for the clock to chime 12 and headed a few blocks to Tompkins Square Park. 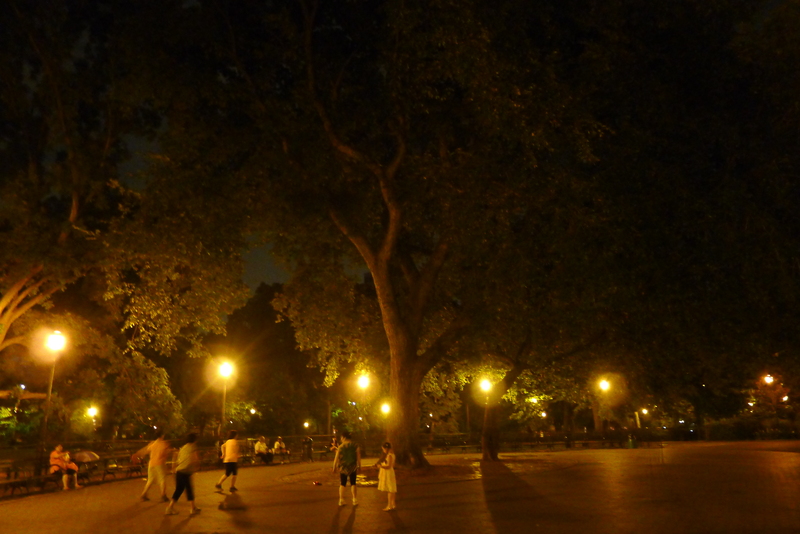 There, beneath the low-lit lamps and beside a dance troupe of surprisingly spry middle-aged women, was a glorious elm tree. 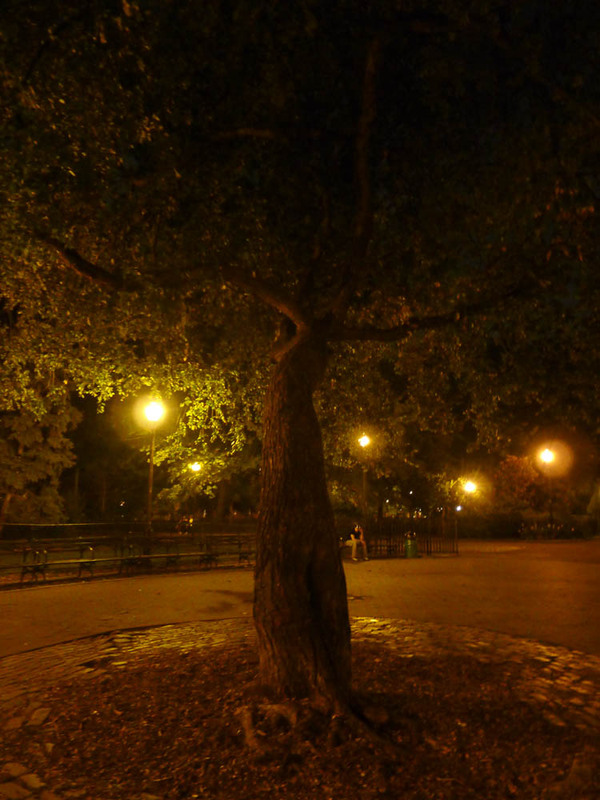 The tree is not just central to the park, it’s also central to the Hare Krishna religion. In October 1966, A.C. Bhaktivedanta Swami Prabhupada, who founded of the International Society for Krishna Consciousness, held the first ever outdoor chanting session of the Hare Krishna mantra outside of India right here. 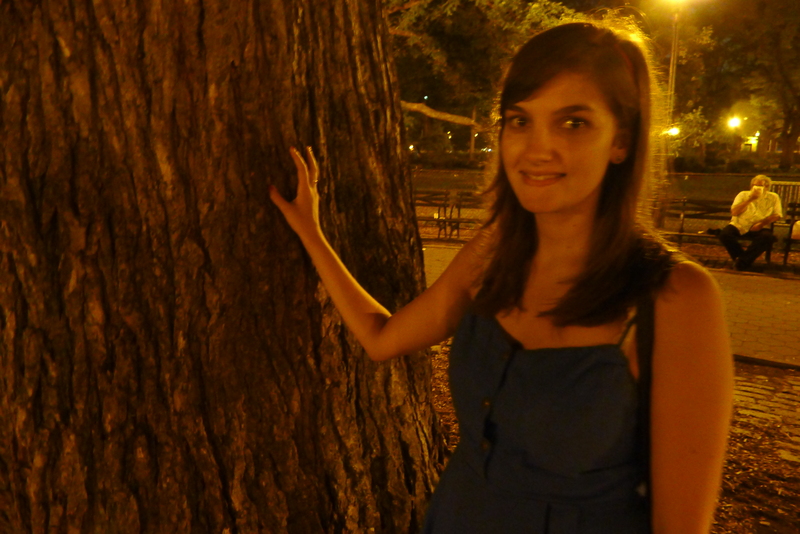 The chanting and dancing beneath the towering elm was seen as the founding of the religion in the U.S. and adherents think of this as a religious site. People will come and pay tribute to the tree by leaving garlands at its trunk. 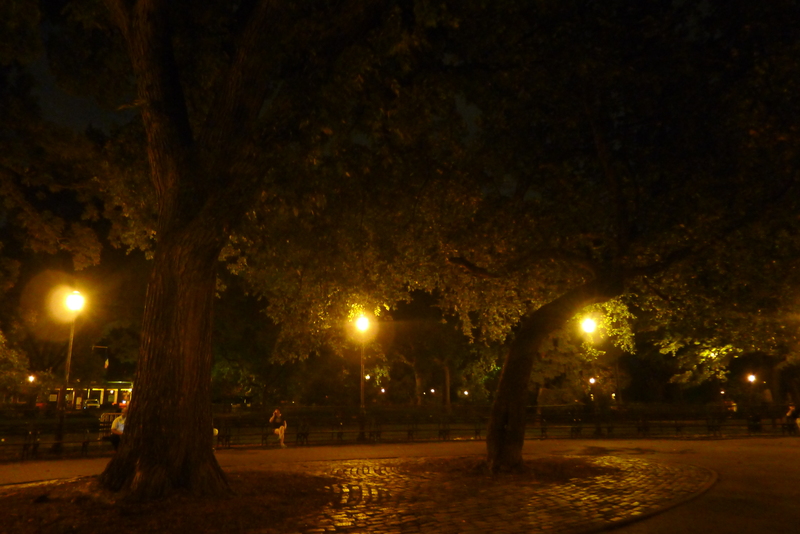 While Tompkins Square Park isn’t my favourite park in the city, I can see how this spot provided the necessary solace to the adherents of the religion. 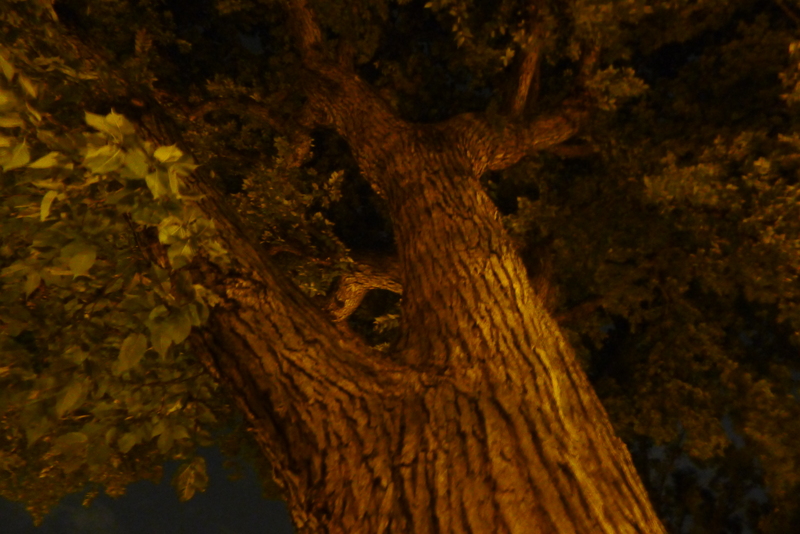 Elm trees around the park offer a protective wall against the hubbub of the traffic and businesses outside. And I’ve been to a few surprisingly peaceful activities here, including a reading of Allen Ginsberg’s Howl. Interestingly, Ginsberg was one of the people present for the Hare Krishna chant back in 1966. I left the dancing up to the middle-aged ladies, but I did enjoy appreciating the tree I’ve often walked past without noticing. Everything in New York has a story, it seems.